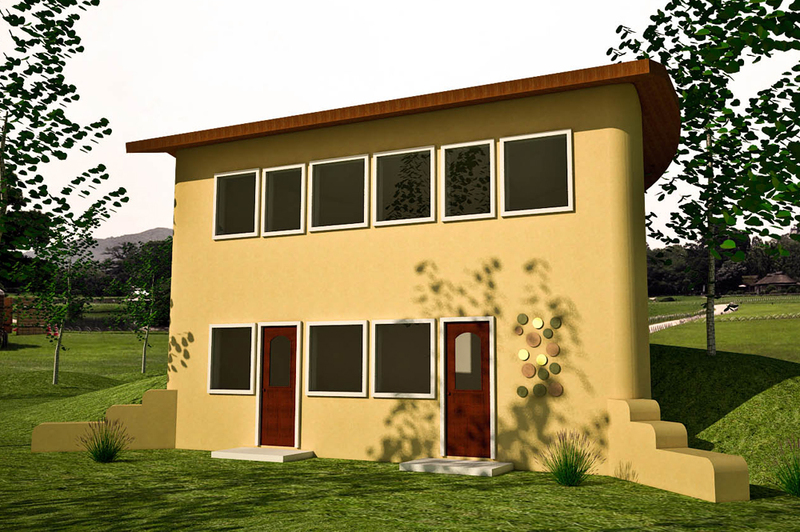 Description: Here’s a dirt-cheap energy-efficient design that’s simple to build. This is a good starter project. Features include a loft for sleeping and office space, and south-facing windows for excellent solar gain and daylighting. 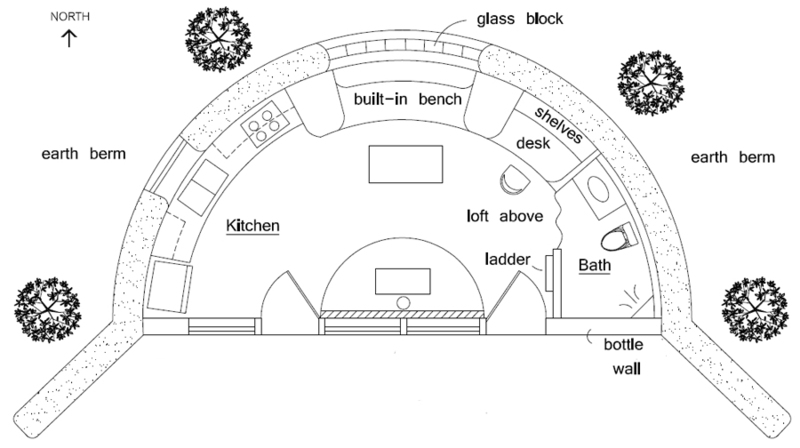 Earth berming and simple curves helps the Natural House blend into its environment.